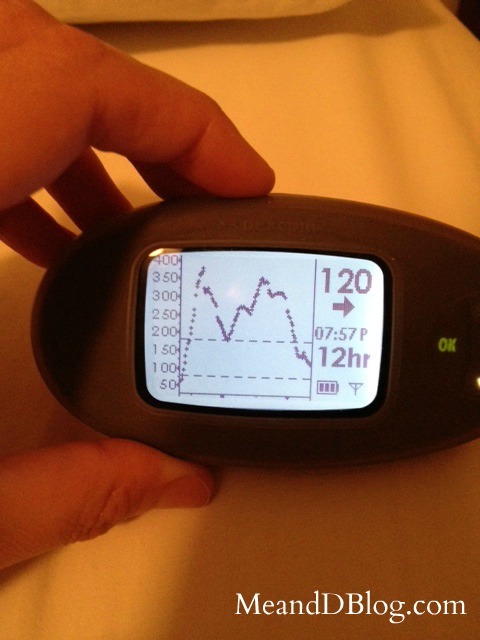 Nineteen years ago yesterday, I was diagnosed with Type 1 Diabetes. Friday, August 13th, 1993. Last year, I wrote about the memories of my diagnosis. I also wrote about getting cupcakes with my family to celebrate. And my mom shared her thoughts and memories. 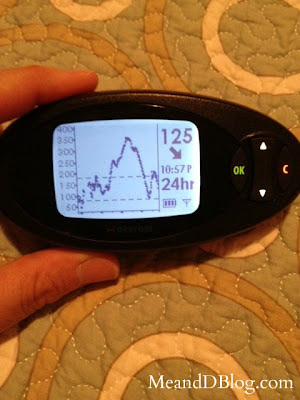 It didn't matter how much I bolused, with multiple sets, syringes, and new insulin, those blood sugars would not budge for hours. Saturday night, I had a bit of a meltdown. Enough already! I balled my eyes out, and called my mom. I hate this stupid disease! I don't want it anymore. I'm done! My sugars are back down to earth now, but I was still dreading yesterday. I didn't want to celebrate, I didn't want to acknowledge my diaversary at all. I was so very angry at diabetes, and wanted to ignore it. But someone (ahem, Sara) tweeted that it was my diaversary. And my twitter stream was flooded with well wishes and congratulations. And you know what? It helped. It helped a lot. Because I knew these weren't empty wishes. They were sincere, from people who know exactly what it feels like. Who've felt the anger and frustration that I was feeling. People who get it. And that means a lot. My mom also got me a diaversary card. Well, a congratulations card, since they don't make "happy diaversary" cards. And I went to dinner with Scott, Babs, Bob, and Charli. More people who get it. So thank you, DOC, for reminding me what's important. That I am never alone. And that diabetes doesn't get to steal my joy. Darn right it doesn't get to steal your joy! Wonky blood sugars, who cares - you made it through 19 years with the D along for the ride! That's worth celebrating any old day. Happy Diaversary Jess! Your post made me tear up, in a good way. I forgot our diaveraries were so close. Mine is tomorrow. 16 years...means I've now lived with D twice as long as I did without it. Crazy. Glad your day turned out alright in the end! Welcome to another new year! It's important to recognize being alive with diabetes. As morbid as that may sound. You deserve to celebrate no matter what. Yay for the DOC! Always comes through when it's needed most, doesn't it? You are super brave. Congratulations for doing what you've had to do to stay alive for 19 years. I don't know where'd I be if I never would have met you! So glad your day turned around...totally what the DOC is all about! Reason number 6043 why I love the DOC! Happy Diaversary friend! I hope those mountains settle into nice rolling hills. Love you! I'm so glad your day improved! This post made me so happy!!!!! Congrats on 19 healthy years...here's to many, many, many more!!! CHEERS!